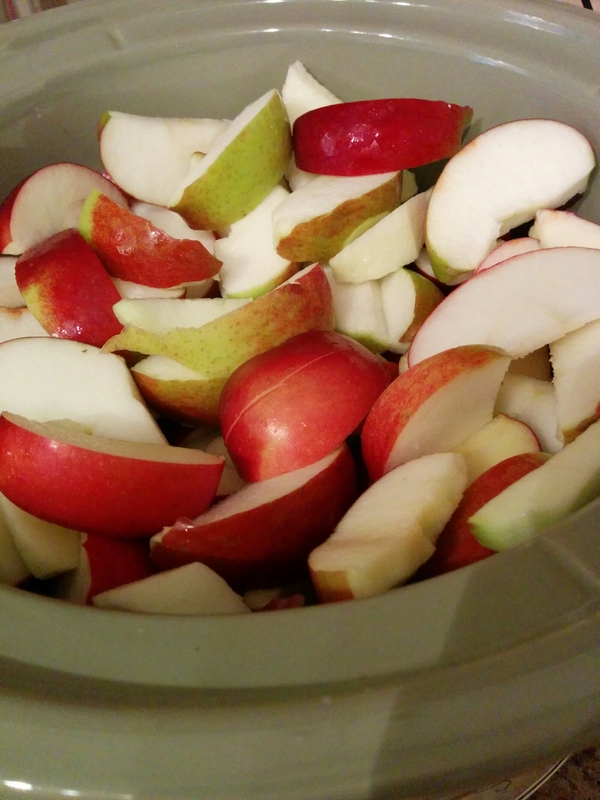 One of my favorite things to make in the fall is applesauce. The only problem is having to peel, core, and slice all those apples. 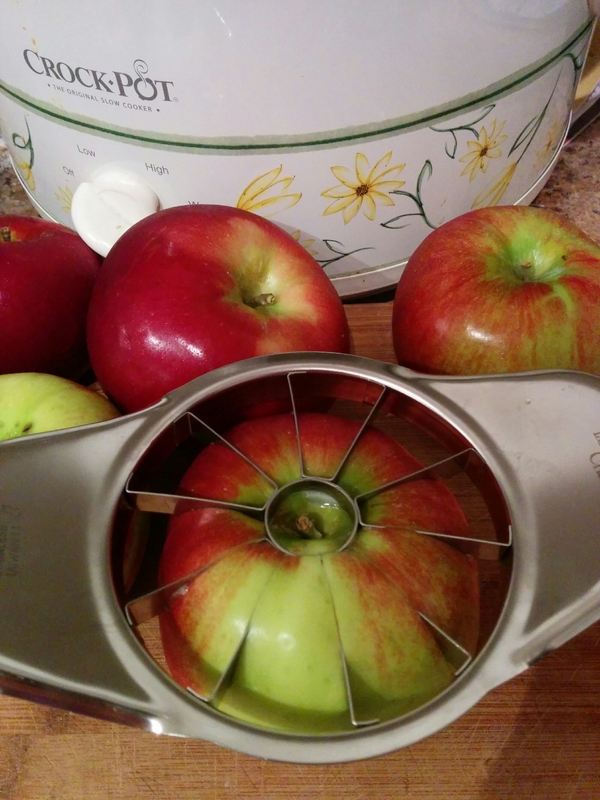 A few years back I discovered an apple wedger and my applesauce making days changed forever. It is much faster this way. I first bought mine at IKEA but my current one is from Pampered Chef. Using the wedger makes this an easy recipe for kids to make. I always enjoy finding things for my kids to do to help in the kitchen. I like keeping my applesauce as pure as possible. I don’t add any sugar and I also like keep the peels on for added nutrition and then I put everything in the slow cooker so I can forget about it. It’s so easy and the house smells amazing. Using an apple wedger slice your apples. Id you don’t have a wedger don’t worry, just core them and slice them. Place them in your slow cooker, pour the water over them and cook on low for 6 hours. Once apples are very soft, use your immersion blender and puree.